Chitralahari is releasing this Friday and there is a good buzz for this film. 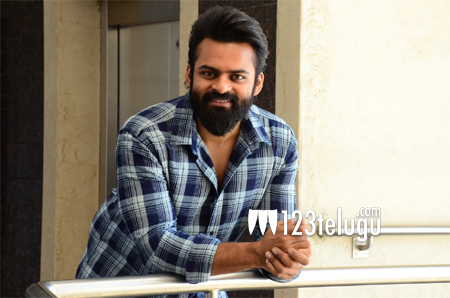 On this occasion, we caught up with Sai Dharam Tej for a detailed interview. Here is the transcript. I play the role of Vijay Krishna in the film. He has never tasted success in his entire life and because of this, he faces serious issues in his professional and personal life. That is the whole concept and story of my character in the film. How careful are you with your script selections these days? Previously, I did films with my heart but now I have learned to say no to scripts which are not good. I am only saying yes to those films which I feel have something new for me to showcase and will also impress the audience as a whole. So, how much were you impressed with this script? The moment Kishore narrated me the script, my inner voice told me that I should do this film as it was relating to my current situation in life. Upon that, the depth in my role made me accept the film right away. Many say that the film is like your biopic. What do you have to say? Even I heard of it from my sources and have seen it on Twitter too. Everyone goes through that phase and I am no different. I am confident that things will change for me with this movie as it has a feel-good narration. How has the film shaped up?. Did you watch it? No, I have not watched the film and am planning to watch it with the audience and know their first-hand reactions to my role. Was it your decision to include the song Glassmates to the album? Many are asking me the same question. But this song was told to me months back when the film even did not go on floors. It is just a coincidence that Janasena got the glass symbol and I am cool about it. As of now, I have not signed any projects. I have heard a couple of scripts but will only finalize them seeing Chitralahari’s output.